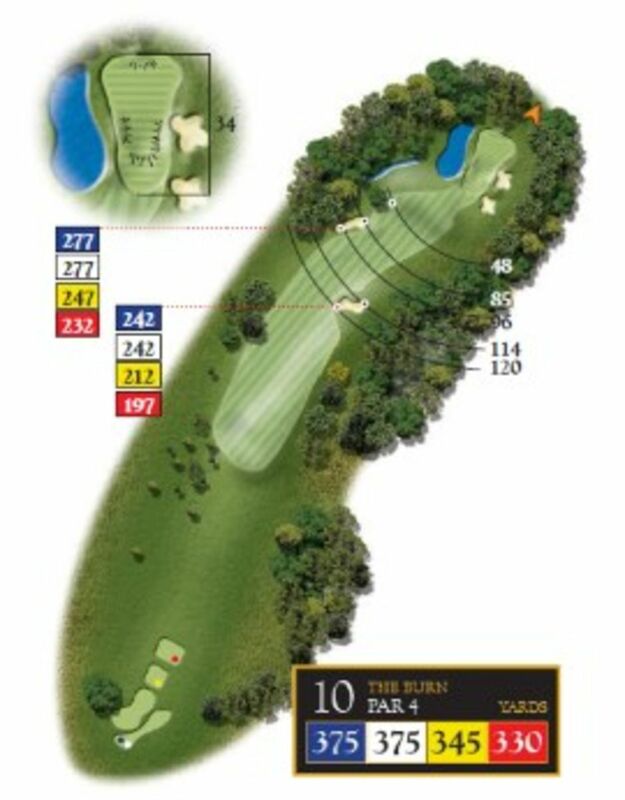 The 10th hole measures 375 yards and is a downhill Par 4. 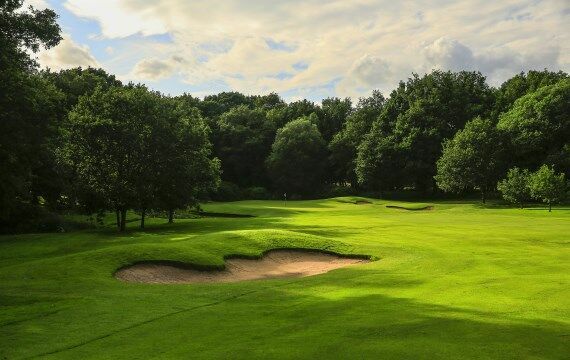 The green is well protected by two bunkers and a lake, which make an accurate 2nd shot extremely important! The hole is reminiscent of Dr Alister MacKenzie’s famous Amen Corner at Augusta National. Pro Tip – Avoid the two fairway bunkers and you have a simple approach to the green. However, make sure you avoid the bunkers and the water!